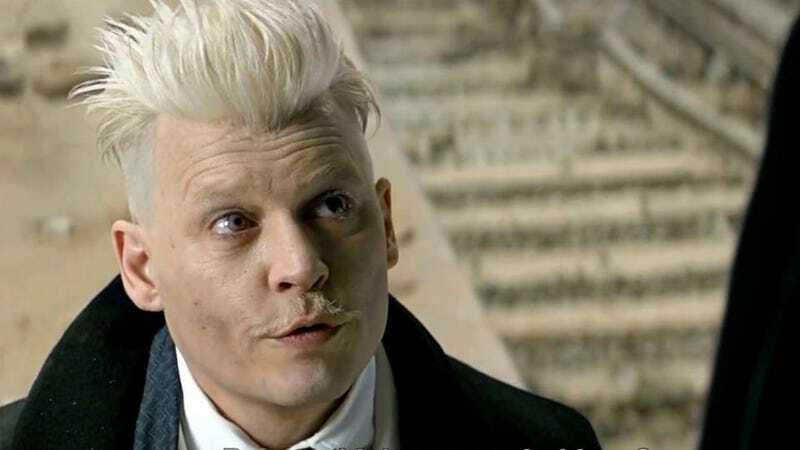 The Fantastic Beasts franchise has had its own beast to contend with, after the controversial decision to keep Johnny Depp as the series’ antagonist after allegations of domestic abuse from his ex-wife, actress Amber Heard. A few weeks ago, director David Yates decided victim-blaming was his way to respond to the issue; now Harry Potter author J.K. Rowling herself has weighed in. Basically, she’s down with Depp, too. To be fair, after Yates basically accused Heard of lying, it’s nice to finally have someone in the Fantastic Beasts world acknowledge that what’s going on is both complex and genuinely unpleasant. But Rowling’s response is immensely disappointing, given that she’s spoken up for victims of sexual assault in the past. To call keeping Depp on board “the right thing”—without Rowling explaining why it’s “right,” or who it’s actually “right” for—invites the most cynical of explanations, chief among them that it’s in the best interests of the film franchise’s box office. That Rowling never mentions Heard or even uses the word “abuse” in her statement alarmingly implies that the only issue she and Warner Bros. had with Depp was that some potential ticket-buyers were upset. None of us involved in Fantastic Beasts would ever let our appreciation of talent obscure other, far more important considerations. We recognized the magnitude of the issues raised and understood the strength of feeling expressed. We hoped and strived at all times to be sensitive to both parties. We stand by our decision to have Johnny in the films. Heard accused Depp six months before the first Fantastic Beasts and Where To Find Them movie came out in November 2016. The studio could’ve easily replaced him in the film’s post-production, considering his super brief role in the first film. After Depp and Heard released their joint statement, the role of Grindlewald could certainly have been recast—and given that magic reveals a different face on the character at the end of the first film, there wouldn’t even need to be a continuity problem. Depp keeps the role, and Rowling, Yates, and Warner Bros, while tacitly acknowledging the concerns are real, have each found their own justification for not doing a damn thing about it. Yates blamed the victim, Warner Bros. says it’s a non-issue, and Rowling just wants everyone to move on, because she’s “genuinely happy” Johnny Depp is starring in her new movie. Too bad almost no one else is. Update: Added a link to Heard’s response.